stakeholder engagement | Shift Happens! Let’s get the obvious point out of the way right up-front: the idea that you can ‘manage’ your stakeholders is just plain rude. It is disrespectful to think you can manage people who, at the outset, owe you no loyalty, no duty, no respect, and certainly no obedience. You need to earn all of these. The term ‘Stakeholder Management’ seems to me to be outdated; an artifact of a time when project managers were optimistically naïve enough to believe that every aspect of a project could be wholly within their control. Yet, we know we were wrong. I remember learning – and then subsequently repeating – that managing projects would be easy, if it weren’t for the people. So, shall we agree to put a stop to stakeholder management, then? Instead, let’s aim to engage our stakeholders with our project: to start a conversation that can benefit both them and us. 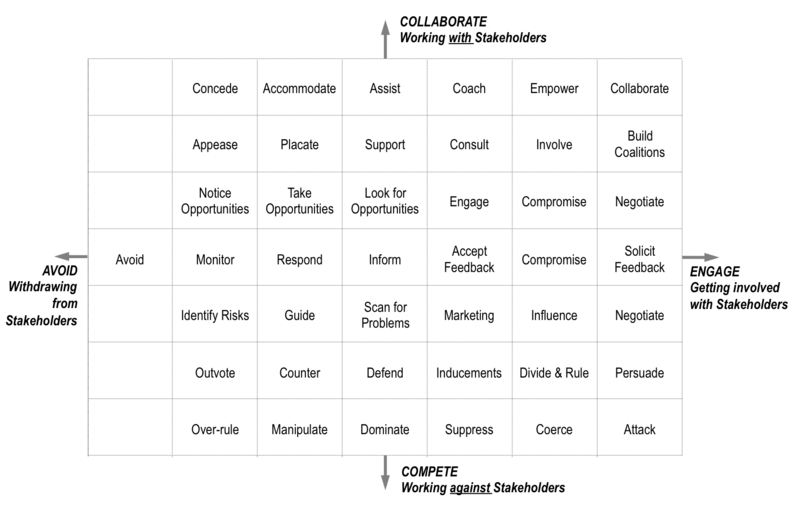 Two tools represent opposite ends of a spectrum of approaches to identifying your stakeholders. At the simplest, a proximity map charts concentric circles with immediate, core stakeholders in the center, working outwards to the peripherally interest stakeholders beyond the widest circle. You could split your circle into two, to separate supporters and skeptics, or add a third sector for neutrals, for example. For the most thorough approach, start with the project manager’s Swiss Army tool, the Work Breakdown Structure and, for each task, ask who is, or may be, involved in any way? This creates a Stakeholder Breakdown Structure, giving you an orderly way to create an initial register of stakeholders. Who is involved in making this task happen? Who will observe the task in progress? Who will have an opinion about this task? … and whose opinions matter? Who has access to the resources needed for this task? Who needs to know about this task? Who can support or frustrate progress of this task? Who is affected when the task is being carried out? Who will evaluate this task? Who will be impacted by the outcome of this task? The next step is to understand whatever you can about each of your stakeholders. You need to know what their interests are, what position they might take, the level of impact they could have on your project, and something about the way they tick. Ultimately you need to figure out how you can maximize the value of engaging with each of your stakeholders. … resources do they command? … do we want from them? … information will they want from us? … are they? Where do they fit in their organisation? … are they connected with? … do they like to receive information? … do they like to communicate? What risks do they pose to us? What opportunities do they offer us? First, you lose the opportunity to learn from them, to hear their ideas, and benefit from their insights. Often, your stakeholders know a lot that you don’t, and they can contribute new thinking to your plans or genuine concerns about risks. When they feel listened to, they are more likely to become supporters and advocates too. Second, you risk triggering a reaction to what you propose. And as soon as you get any form of objection, the stakeholder will establish a position. Psychologically, we feel obliged to defend our position or risk losing face. So the more you can build rapport before giving stakeholders something to push against, the more chance you will have of persuading them effectively. You must be prepared to answer the difficult questions that arise, and to show integrity in the way you do it. Admit to the weaknesses in your position, rather than looking foolish in defending a weak case, and be prepared to change your mind – and your plans – if stakeholders mount a convincing case. Nothing is more likely to trigger disengagement or outright hostility than blind advocacy of a flawed proposition. When you start a new project with lots of new people and groupings to get to know, one of the most helpful things you can do is to start developing a sociogram. This is a chart of how each person is connected to others. Draw each person as a circle or ‘node’ and show links between people as lines. You can represent the strength of a relationship as the thickness of the line – thin medium or thick, with a dotted line indicating a tenuous relationship. Use arrows to indicate the main direction of influence. Very quickly, you will start to see clusters of people that form groups; you’ll find the hubs – people central to a group – the connectors, people with a foot in two or more groups, and the outliers – people who are barely connected and therefore independent thinkers. This can be a powerful way to start to build your understanding of your stakeholders and plan how to engage effectively with them. It makes it easy to spot the hard to get to outliers and who the influential hubs and connectors are. Another way to harness existing relationships is to inventory any existing connections between project team members and your stakeholders. Doing this allows you to make smart assignments of colleagues to develop relationships and engage with particular stakeholders. Also look for overlapping interests or backgrounds that will allow your team members to rapidly gain the confidence of stakeholders. This will help stakeholders to express their views more freely and, when it comes to time for influencing them, you will be better able to do so. There is a wide range of engagement strategies you can apply to each stakeholder. Each strategy balances your time investment against the value of that stakeholder’s engagement, and the level of collaboration against the degree of competing with them if they resist. The chart below shows you over forty generic strategies to choose from. It is neither a prescription nor model. It is more of an indication of the flexibility available to you and a tool to help you in assessing your situation and considering which of your alternative approaches can yield the best results. Further to the right, you will need to invest more effort, whilst higher up the chart, your attitude to the stakeholders will be more positive. It is tempting to take a purist approach and advocate that you keep your engagement towards the top right of the chart, but the reality of your situation may demand an alternative approach. The one thing that must not be negotiable is that, whatever you do, you must do it with the highest levels of integrity. It sets out the range of engagement activities you will carry out, when you will undertake them, who they will be addressed to, and the details of how you plan to execute and monitor them. A campaign plan also needs to consider, stakeholder by stakeholder, what you want to achieve and how you will achieve it. Clearly with a large stakeholder group, some will be of lower priority to you and several low priority stakeholders can be aggregated to reduce the pressure on resources. In a world of finite time and resources, you will always need to make judgments and compromises. But what is evident is that many project managers under-resource stakeholder engagement – particularly in the early stages of a project – and end up paying the price for this later on. They then see errors that could have been predicted, high levels of disengagement, active resistance, and even acts of sabotage. When it comes to persuasion, there is much to be said [trail a future blog here? ], so I will confine myself to four tips, based on the four types of motivation we each have for anything. The most powerful lever in you campaign plan is self interest – appealing to what each stakeholder wants most. Major intrinsic motivators include appeals to purpose and meaning, the need to be in control, and a desire for achievement. Almost as powerful is our need for social success, in the form of memberships of a group, relationships, and status. In this cluster is also the need to fulfill a sense of obligation to others. Less powerful, and usually less accessible to a project manager are the extrinsic motivational levers that many think of first, like rewards, pleasures and material gains. Finally, if they feel threatened in any way, stakeholders will be motivated by such fundamental factors as safety and security. Compliance requirements sit here for some, and as a sense of obligation and duty to others. If I could persuade you to remember just one thing from this article, it would not be any of the techniques, tips or tools. It would not even be the subtle, but important, distinction between stakeholder management and stakeholder engagement. It would be simply one rule. When you remember and respect this rule, everything else that matters will follow. Your stakeholders will determine the success, or not, of your project. 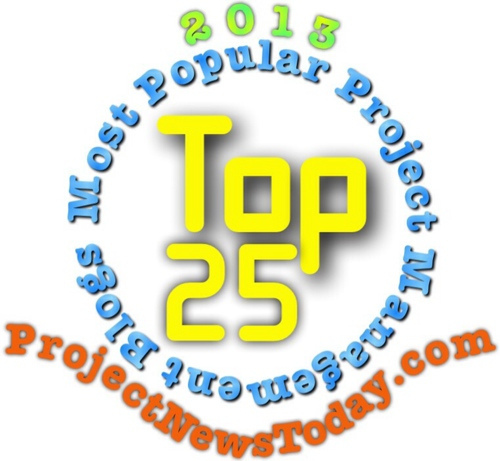 This article was first published on the ProjectManager.com website on 24 June, 2015. His other books include ‘How to Manage and Great Project’. This entry was posted in Stakeholder Management, The Influence Agenda and tagged stakeholder, stakeholder engagement, Stakeholder management, stakeholders on 26 November, 2015 by Mike Clayton. When I learned stakeholder analysis, I was taught to consider the impact of the project on stakeholders, the power they have to impact what I was doing, and their attitude to my project. From this, we could prioritise our stakeholders and plan our campaign. And there is nothing wrong with that advice. … Except, that it misses out the nature of human beings. For example, it is not our high impact supportive stakeholders, nor our high impact antagonistic stakeholders who should dominate our early thinking: we need first to get to those who haven’t made up their minds yet. Sitting on a fence is an unstable posture, and the sooner we can influence them, the better. Even this has little to say about the social nature of human beings, and stakeholder engagement must, surely, be a social activity. The one characteristic that dominates my current thinking about which stakeholders to prioritise is social influence. This is not, by the way, a bandwagon attitude: the advent of online social media has simply provided a new forum for social influence. Have you noticed how some people are extremely good at influencing others? Whether through personal charisma, perceived wisdom, or deep technical expertise, others look to them for advice and opinions. Consequently, these stakeholders have become used to weighing the evidence for themselves; they are not easily influenced by others. 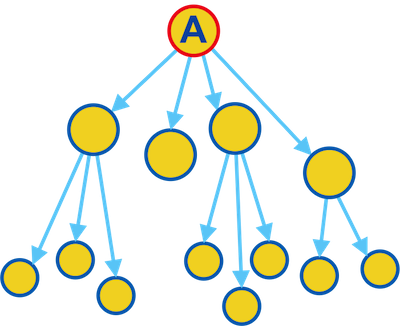 I call them Apex Stakeholders because they sit at the top of a branching network of social influence. If you can identify your apex stakeholders and provide them with the right information, you can gain a lot of leverage across other stakeholders. Find ways to convert neutral apex stakeholders into apex supporters. Go further: if you discover an apex agonist – an apex stakeholder who is against what you are doing – their influence will be pervasive and potentially lethal. Make it a top priority to win them around. But mind that you do so with great care: they will not be amenable to manipulation or pressure. You need to play a long-game of building a relationship, winning their trust, and then presenting your evidence. This article was first published on the APM (Association for Project Management) website on 17 July, 2014. This entry was posted in Stakeholder Management, The Influence Agenda and tagged apex stakeholders, stakeholder, stakeholder engagement, Stakeholder management on 29 October, 2015 by Mike Clayton. How big do stakeholders get? I was personally pleased when I recently worked with a major multi-national organization that puts sustainability right at the heart of everything it does – including new projects and programmes. The question is, how to fit it into your projects, if it is not baked into everything that your organization does? As project managers, we have choices and I’d like to highlight four approaches to building sustainability into your projects. You can build sustainability into your projects by ensuring that that your investment appraisal and business case are predicated around whole -life costs and returns or, if this is not possible, for any reason, at least look at the longest time horizon possibly. An example is schools building and renovation: why do so many public authorities insist on a payback on energy efficiency investments that is substantially shorter than the planned lifetime of the school and the assets that might be installed? The second approach sees sustainability as an element of the quality of your project, to be explicitly balanced against time and budgetary objectives. The problem with this approach comes when the organization chooses to prioritise time or cost, leaving sustainability as the poor relation that gets abandoned. This is an application of the right principle, but puts sustainability at the back of the queue. The commonest approach I have seen is a deeply pessimistic one. Sustainability and environmental concerns make their only appearance in projects, via the risk register. Whilst proactive risk management is recognized by most PMs as an essential component of planning and control, this approach effectively relegates sustainability to an after-thought. My preferred approach is to treat Mother Nature as a stakeholder in your projects. The stakeholder revolution that began in the 1930s with E Merrick Dodd and matured in the 1980s with R Edward Freeman’s Strategic Management: A Stakeholder Approach, which put people on an equal footing with profit on organisation’s agendas. I’d like to see that go a step further, and John Elkington’s concept of ‘the triple bottom line’ seems to me the best framework. Elkington saw three equally important bottom line measures: the profit account, the people account and the planet account. Let’s start to consider our planet as a real stakeholder in everything we do as PMs. This does not mean it should come first, but it would require us to take full account of its needs throughout our projects, from definition to decommissioning. Only when you do this will you be sure you are thinking through all aspects of your project’s viability and the wellbeing of your other, human, stakeholders. This article was first published on the APM (Association for Project Management) website on 1 July, 2014. This entry was posted in The Influence Agenda and tagged John Elkington, R Edward Freeman, stakeholder engagement, Stakeholder management, stakeholders, Sustainability, triple bottom line on 22 October, 2015 by Mike Clayton. What is your Influence Agenda? Some things are cliches for a very good reason: they are true, and there is no other way to say them. So, when I say that change is a constant feature of organisational life, I am not trying to be clever, just to make a commonplace observation. Another commonplace of organisational life is that unless you can engage your stakeholders and win their support, your change is doomed to fail. So what are you doing to build and manage a credible campaign of engaging and influencing your stakeholders? Your organisation has a purpose, or mission, and also, I expect, a vision for its future. We translate this into a strategy for change, and from that, we develop a programme of changes that are fully aligned to these. From this, you also need to derive a stakeholder engagement goals that state what you need to achieve, to maximise your chances of project or programme success, in terms of your change goals. Your influence agenda is a systematic campaign for achieving your stakeholder engagement goals. Of these, soft power will be by far the most important, and I will look more at this in a later LinkedIn post. Nations use all of these forms of power. Hard power is military and diplomatic coercion; economic power is trading and sanctions; soft power is aid and cultural exchange; and hidden power is the way policy makes certain choices more desirable. As with politics, so with organisations. You will be most successful when you get the balance right. But one thing is absolutely for sure: if you believe in the change you are seeking to implement, then deploying a structured influence agenda is not an option. All that remains then, is how you plan and manage your campaign. – What is Stakeholder Engagement? This entry was posted in Influence, The Influence Agenda and tagged economic power, hard power, hidden power, power, soft power, stakeholder engagement on 13 November, 2014 by Mike Clayton. When I first learned about project management formally, my colleagues impressed upon me the need to ‘manage your stakeholders’. That is, to manage their perceptions, to manage their opinions, and to manage their impact on your project. Stakeholders, I was told, are the key to project success… or failure. If, by the way, you are not familiar with the term ‘stakeholder’, don’t worry – it just means anyone who has any interest in your project at all. I looked at the origin of this word in my previous posting. Manage stakeholders badly and, no matter how well you manage other aspects of your project; it will fail. Because it is your stakeholders who get to judge. So stakeholder management has becoming a more and more important component of project management and project management training for many years. For the last fifteen years, it has been one of the parts of my project and change management training programmes and seminars that has resonated most strongly with participants and audiences. But there is a change in the air. Increasingly, people are referring not to ‘stakeholder management’, but to ‘Stakeholder Engagement’. This is a change that I welcome and I will capitalize the term too, for reasons I will come back to in a moment. For me, engagement is simply a lot more respectful than the idea of trying to manage your stakeholders. So when I started work on my latest book, ‘The Influence Agenda’ which is about a systematic approach to engaging with stakeholders, I took the decision to use the term Stakeholder Engagement exclusively. And from this month – in which the book is published in the UK and the US, I am changing all of my training and seminar materials accordingly. I do, by the way, use the term ‘stakeholder engagement management’. By this, I mean management of the process of engaging with stakeholders… respectfully and positively. I have capitalized Stakeholder Engagement because I think it is time to recognize this as a formal discipline in its own right. 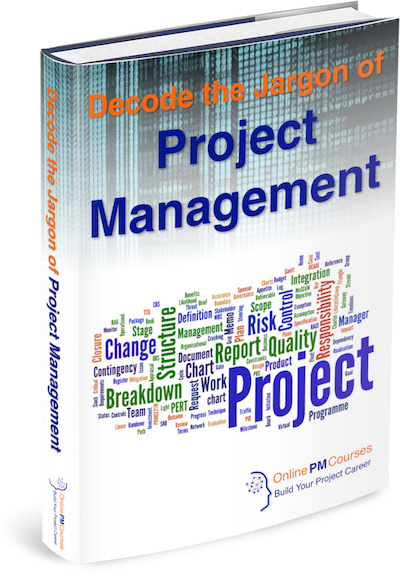 Project Management (and its cousins Programme Management, Change Management, and Portfolio Management) is well established – indeed project and programme management together have their own professional bodies in many countries. Risk Management is not only a distinct area f professional skill, it is a distinct specialty of project management. Now I would like to see Stakeholder Engagement acquire the same status. 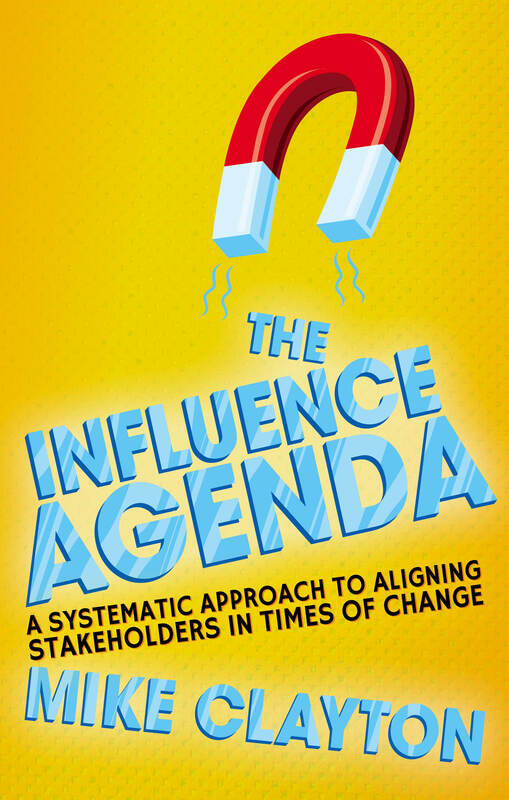 The Influence Agenda: A Systematic Approach to Aligning Stakeholders in Times of Change is published by Palgrave Macmillan next week, on 22 April 2014. It is available from all good booksellers, including Amazon UK and Amazon.com. You can learn more about the book and its contents, read extracts, scan the full contents list, and download resources at: theinfluenceagenda.co.uk. This entry was posted in Stakeholder Management, The Influence Agenda and tagged stakeholder engagement, stakeholder engagement management, Stakeholder management, The Influence Agenda on 17 April, 2014 by Mike Clayton. A stakeholder is anyone who has any interest in what you are doing, with the word ‘anyone’ inviting us to draw our net as widely as possible. And any interest means that they can be interested in what you are doing, how you are doing it, or in its outcome. This word stakeholder has, in the author’s professional life, moved from being a jargon-word that has been little understood outside narrow areas of business to becoming a commonplace. So where does it come from? Preparing for my new book*, I researched this extensively, resulting in a thousand word essay at the start of the book. I summarized my research with a simple diagram. Sadly, I couldn’t put a colour version in the book, so happily, I can share it with you here. Download The Origin of Stakeholders poster. The drawing starts with the first appearance of the word, recorded by The Oxford English Dictionary as being in 1708, and meaning the holder of a wager. A stake is ‘that which is placed at hazard’ although OED is uncertain where that usage of stake comes from. 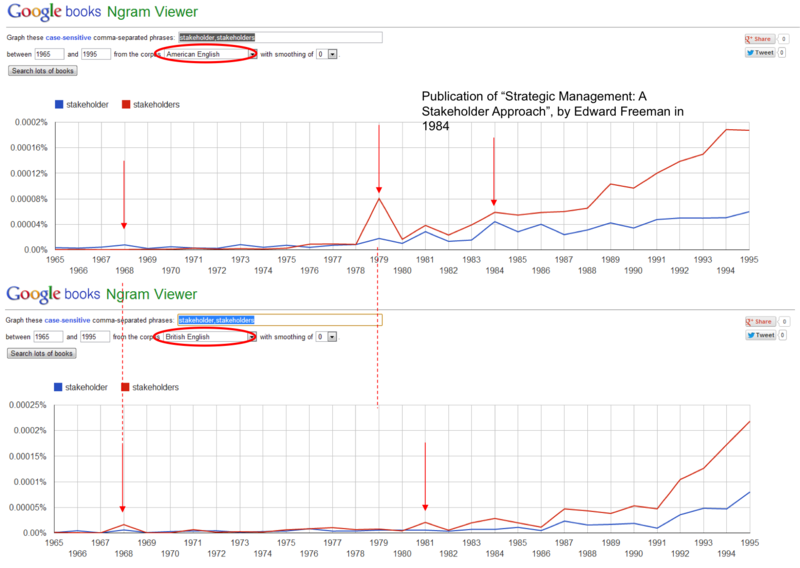 I have written before (in The Origins of Project Management) about the wonderful tool that is the Google Ngram Viewer. Here are some annotated print-outs that did not find a home in the book, but which make interesting references and helped to inform my essay. For those not familiar with Ngrams, they plot the frequency of your chosen word from a vast selection of published books that Google has scanned and rendered into searchable text. You can have hours of fun choosing words, sources and time windows, to research the rise and fall in popularity of your favourite words or ideas. * The Influence Agenda: A Systematic Approach to Aligning Stakeholders in Times of Change is published by Palgrave Macmillan next week, on 22 April 2014. It is available from all good booksellers, including Amazon UK and Amazon.com. This entry was posted in Stakeholder Management, The Influence Agenda and tagged Igor Ansof, Ngram, Origin of Stakeholders, R Edward Freeman, stakeholder, Stakeholder Economy, stakeholder engagement, The Influence Agenda, Tony Blair on 15 April, 2014 by Mike Clayton. I’ve worked on projects for a diverse range of industries – including government, third sector, and global businesses, and in a recent interview, I was asked if there are any commonalities I came up against. I think there are more things in common than not; after all, projects are a human enterprise and people are pretty much the same anywhere. I would highlight three main themes. Wherever there are projects and project managers, the central concern is always to bring control to a complex and uncertain environment. Project managers have found numerous ways but increasingly, I am seeing a strong desire for the organisation to improve its governance procedures to seize control at a strategic level. This can only be right, ensuring precious and limited resources are properly deployed to build valuable assets for the future. One of my signature phrases in keynotes, seminars and training is that what project managers crave, above all else, is control. I see the discipline of project management as being about imposing control on a large, unfamiliar, complex and novel environment. This is why all of my training and writing emphasises the need to create control – including my latest book: ‘How to Manage a Great Project‘, in which I the eight simple steps to do just that. I also see similar risks and the same mistakes being made across all sectors. The biggest difference here is the lesser ability of the statutory and regulated sectors to hide their mistakes under the carpet. Good example is the sunk cost trap – the implicit political (with a small p) decision to keep going with projects that are no longer viable or just no longer valuable. The fear of losing face dominates the waste of future resources. The private sector can more effectively hide the unwanted assets in the back of a cupboard, and lose the wasted expenditure in large, amorphous budget headings. For all the right reasons, the public sector’s mistakes are subject to greater scrutiny. Blogger and project manager, Glen Alleman, describes risk management as the way grown-ups manage projects and I agree. Risk management needs to be far more clearly recognised in the project management community as a sophisticated and valuable discipline. This is why I wrote ‘Risk Happens!‘ – to provide a resource for everyday project managers (not just those managing the mega projects that can afford a risk specialist) to learn more about practical day-to-day project risk management tools and techniques. In all sectors it is stakeholders and stakeholder engagement that need to take centre stage, along with risk management, in a mature project management culture. Too often, project managers are still over-immersed in the technical and programmatic details of their project and then wonder why users, bystanders and even customers don’t like the outcomes. I am committed to seeing this change, which is why my next book, ‘The Influence Agenda‘ (Palgrave Macmillan, April 2014, will be about project stakeholder engagement. In this, I include sections on creating a stakeholder engagement culture and on ethical stakeholder engagement. At its heart, however, just like in Risk Happens!, I have tried to create a core of practical day-to-day tools and techniques to act as a resource for project managers and project team members who do not have a communications background. This entry was posted in How to Manage a Great Project, project management, Project Success, Risk Happens!, The Influence Agenda and tagged control, Influence, project, project management, project risk, risk, stakeholder engagement, Stakeholder management, sunk cost trap on 20 February, 2014 by Mike Clayton.